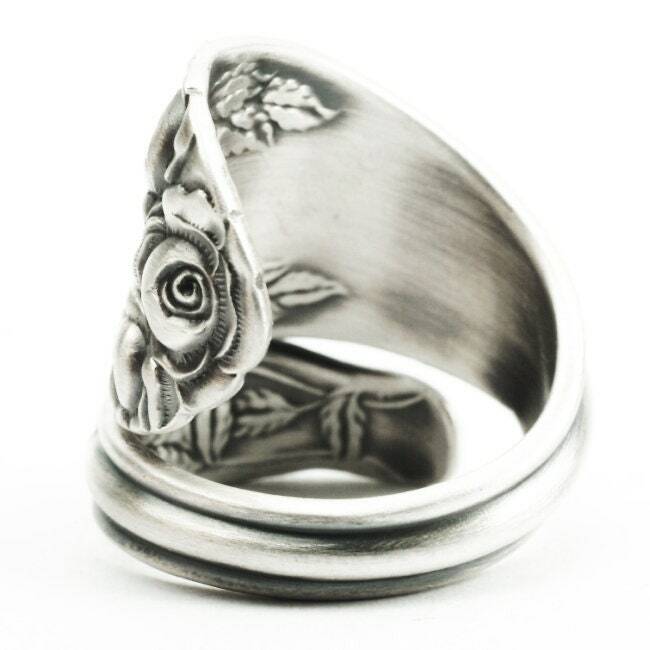 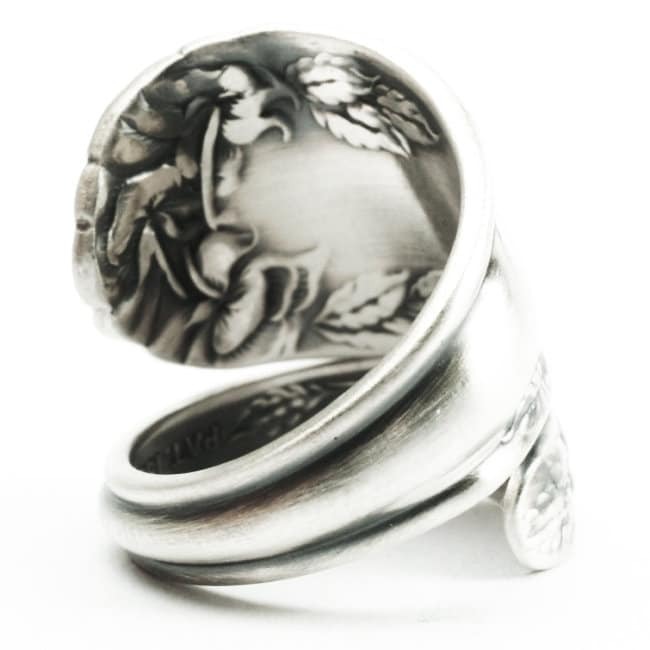 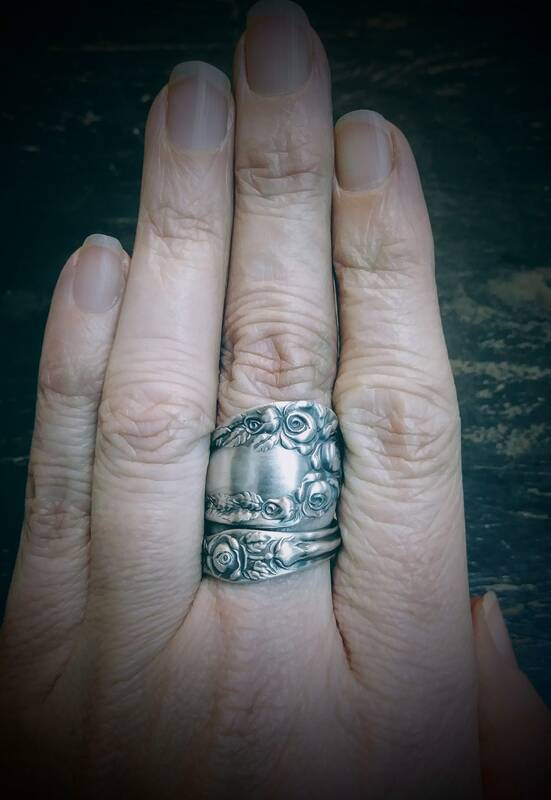 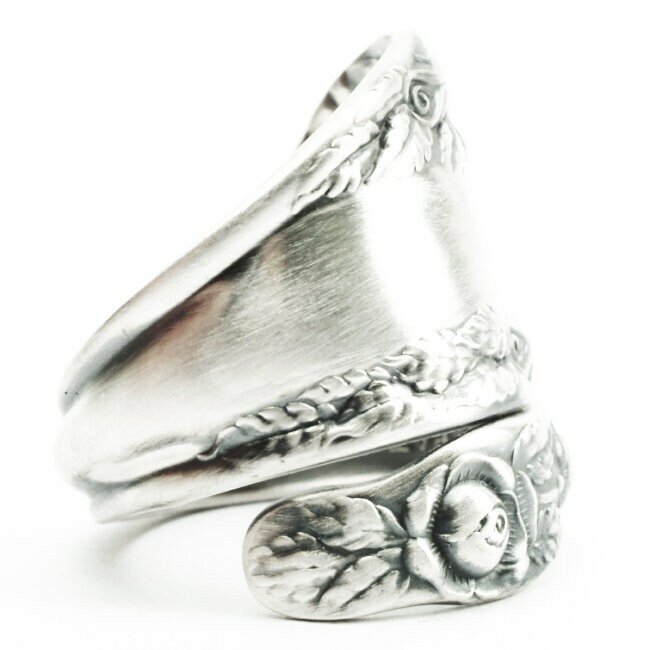 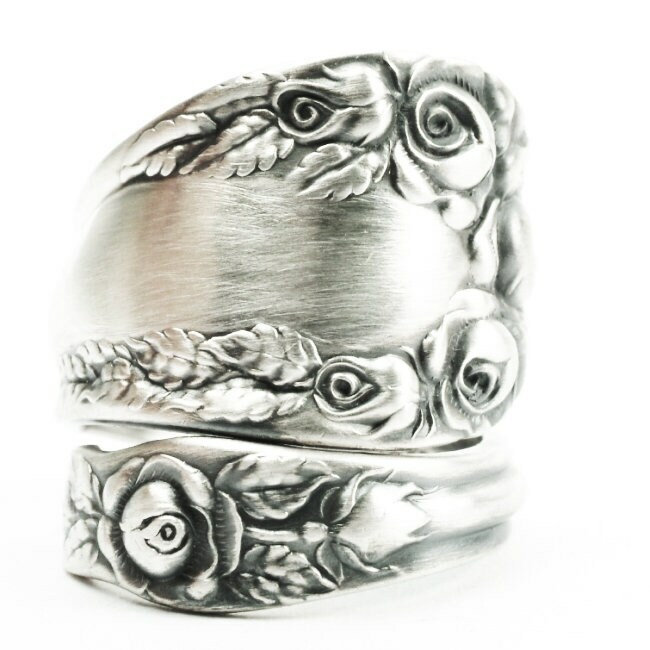 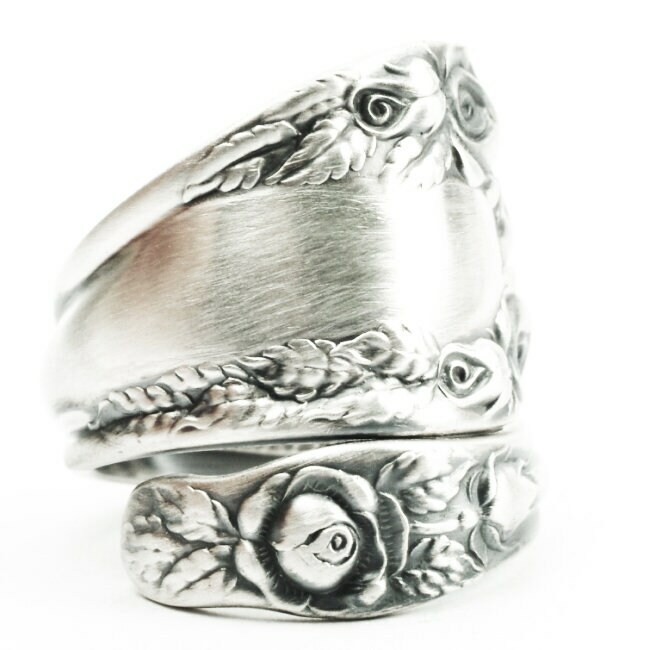 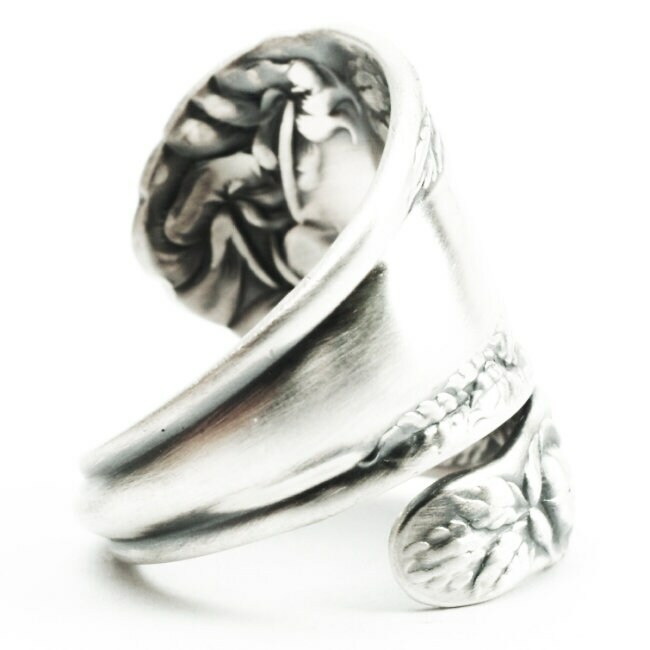 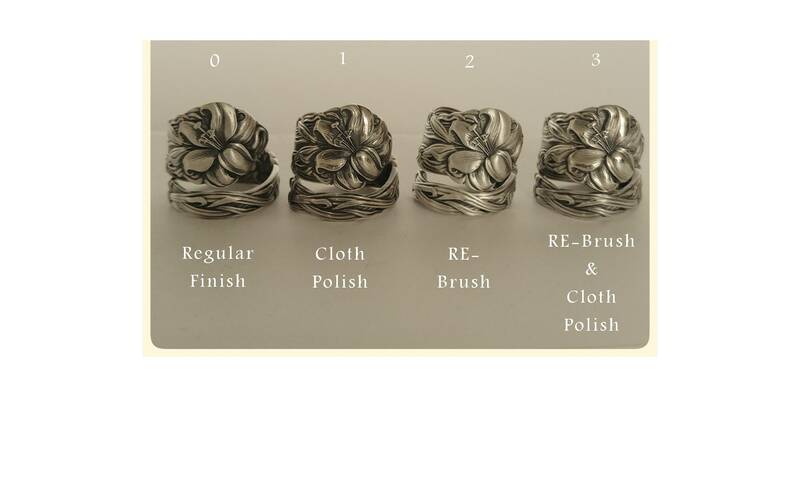 Floral Rose pattern on this antique sterling silver spoon ring. 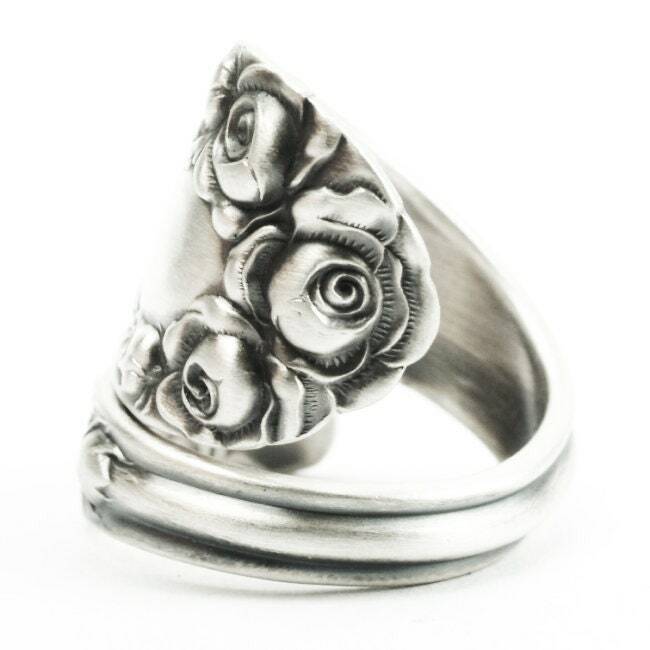 Depicted is a bunch of high relief blooming rose blossoms. 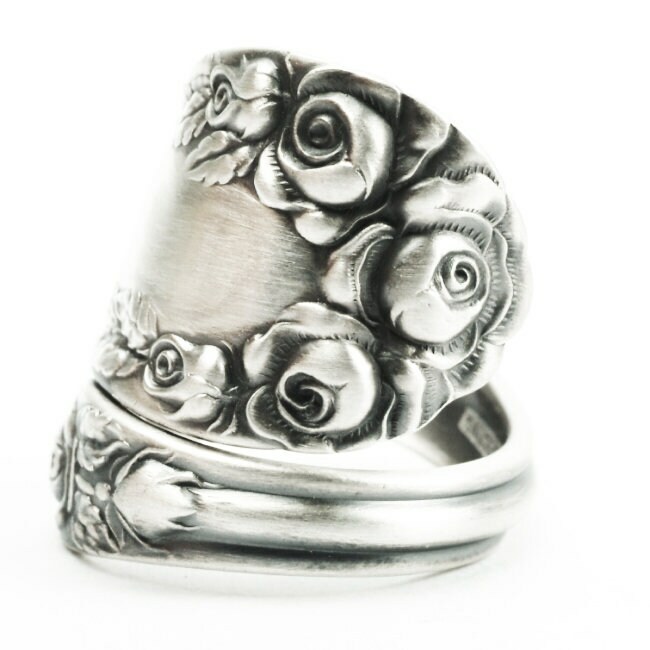 This pattern was originally made by R Wallace & Sons in 1888 called, "Rose" and designed by Henry L. Wallace.